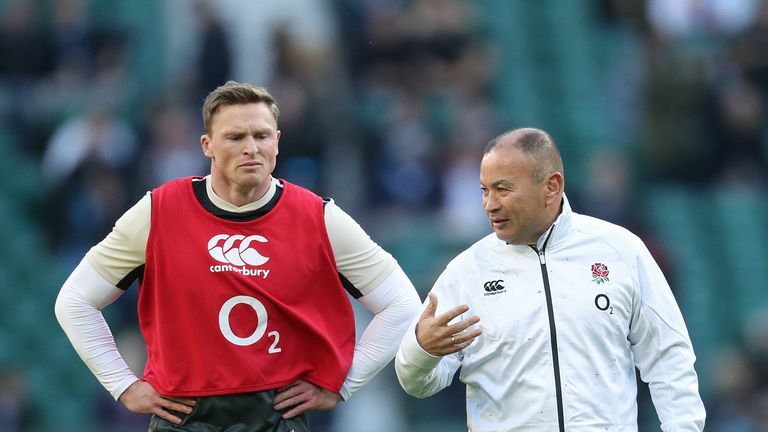 Eddie Jones says he is not concerned about Chris Ashton's lack of rugby this season, and says the wing can "sniff a try from anywhere". 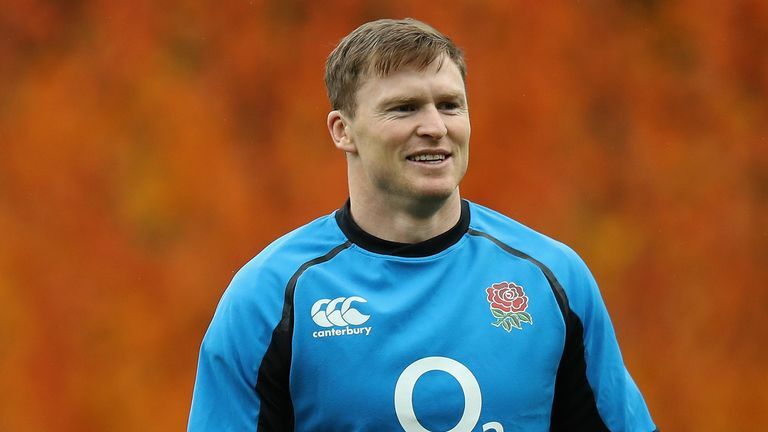 Ashton was named by Jones in the starting XV to take on New Zealand at Twickenham on Saturday, live on Sky Sports, in what will be his first England start for four years. The 31-year-old has only played once for Sale Sharks - in which he scored a hat-trick - since joining them in the summer due to a ban for a dangerous tackle in a pre-season friendly, but when asked if that concerned him, Jones said he would not have picked him if it did. He said: "Chris can sniff a try from anywhere and to beat New Zealand you need to score tries. He's in good form, looks sharp so we're giving him the nod to start." 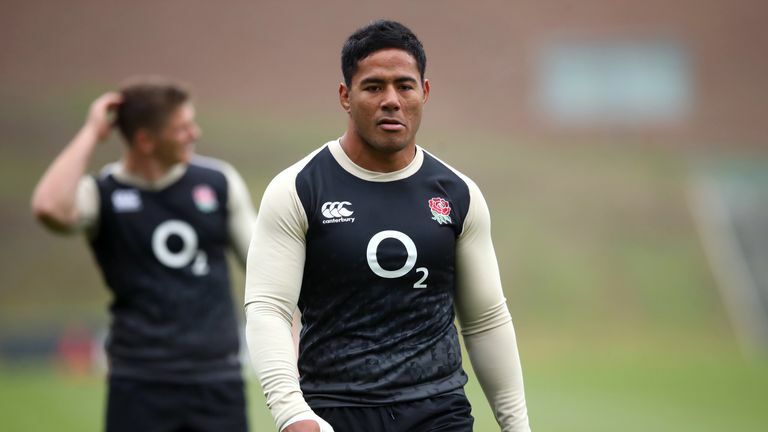 While Ashton's return to the international fold is complete, Manu Tuilagi will have to wait for at least another week to make his first England appearance for over two years. The Leicester Tigers centre was left out of Jones' matchday squad, and the Australian said: "He's just not quite right. He's nearly there and we feel like he's going to be enormous value for us in the future. "Rather than take any risks with him we're being quite conservative in his management. He's almost 99.9 per cent but he's just not quite right. "So rather than risk him, we're going to see if we can wait to get him 100 per cent right." England recorded a 12-11 win over South Africa last weekend in their opening autumn international, despite being comfortably out-played for the majority of the first half. They did well to turn the momentum in the second period, and Jones is aware his side are likely to be under pressure for periods against the world's No 1 side on Saturday. 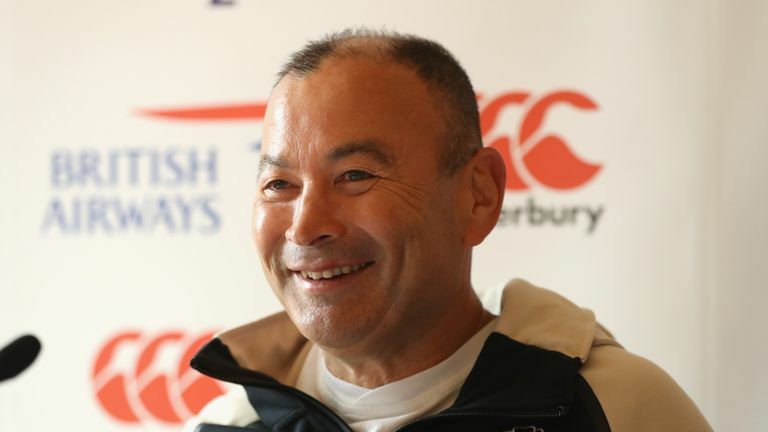 Asked how England would cope in that situation, Jones said: "We obviously don't want to get in that situation. "If we're in that situation we've just got to stay in the fight. That's the only thing that keeps you in there. You've got to stay in there, keep doing the simple things right and if you stay in there long enough it can turn. "Momentum's not an easy thing to turn. You're either looking for a conservative team effort or you're looking for one individual to do a brilliant thing. That's not something you can practice."